You are my Sunshine! My only Sunshine! You make me happy, when skies are grey! Oh, how I love Cheer Essential Oil. Cheer Essential Oil is my go-to happy blend. It’s light, uplifting, and a little bit sweet. I diffuse it regularly – but especially on gloomy days. I wear it on my wrist, temples, and on the back of my neck for emotional support through out the day. It’s a fantastic blend that’s fresh, spicy, and warm but its not too girly either. 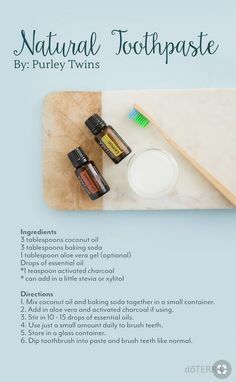 It’s one of my husband’s favorite oils. He uses it all the time. Wild Orange is known for how it uplifts and energizes the mind and the body. It’s a wonderful oil for emotional support and a great way to start off a cheerful blend. Citrus oils feel fresh and bring about feelings of clarity and cleanliness. This stuff is basically liquid sunshine. Clove Bud, like Wild Orange, is uplifting and energizing, but it’s also empowering and encouraging. Use this oil when you need to stand up for yourself, stand on your own two feet, or be proud of who you are. Star Anise is uplifting and energizing but it also helps to incite feelings of optimism. What an amazing way to start the day! Make turning on the diffuser with Cheer part of your daily routine and you’ll start the day off with a positive attitude. Apply a few drops to an aromatherapy necklace or a scarf so that you can smell the oil throughout the day. How do you use CPTG Cheer Essential Oil? How has it changed your world-view for the better? Here’s a few Springtime Diffuser Blends to make yourself!